If you are a Windows user with experience handling zipped files, then you are probably accustomed to unzipping them manually. This allows you to have control over when the contents of an archived file are unpacked, meaning that you can leave that in the zipped format for as long as you would like. But zipped files that you download through Safari on your Mac are handled a little differently by default. 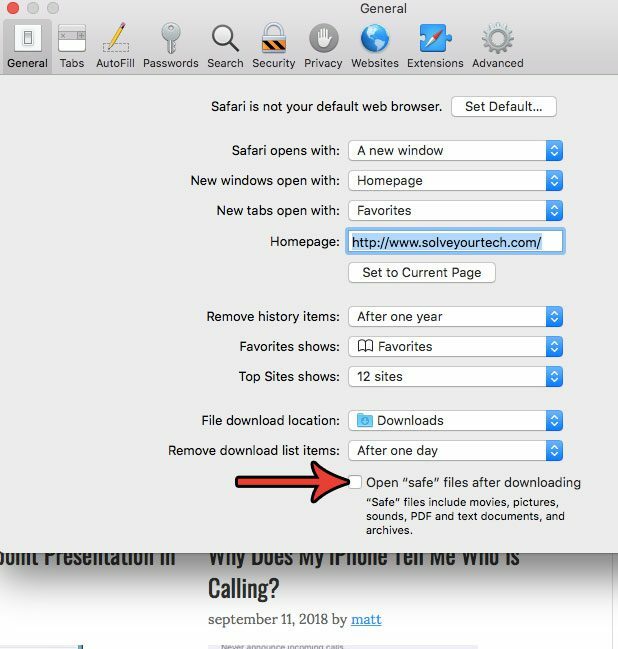 Safari will automatically open files that it considers safe, and one of the file types that it will do this for are zipped files. 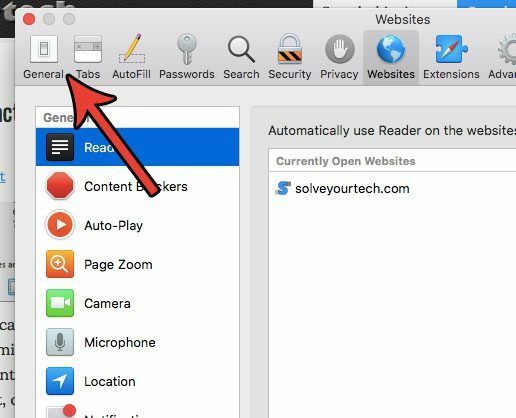 Our tutorial below will show you how to change a setting in Safari so that it no longer opens these types of files by default. 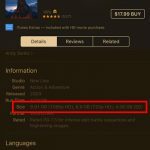 The steps in this article were performed on a MacBook Air using the MacOS High Sierra operating system. 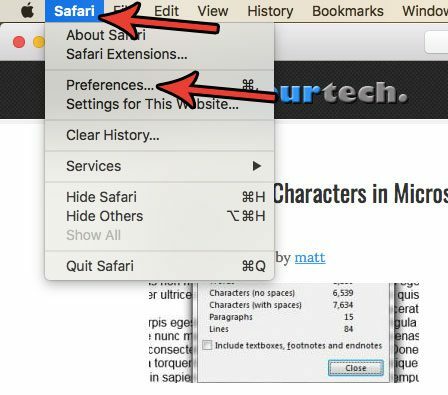 By completing the steps in this guide you will be changing a setting on your computer so that Safari will no longer automatically unzip .zip files that you download from the Internet. Step 2: Click the Safari tab at the top of the screen, then choose the Preferences option. Step 3: Click the General button at the top of the menu. 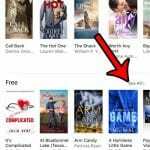 Step 4: Click the box to the left of Open “safe” files after downloading to remove the check mark. You can then elect to manually open zip files by double-clicking on them in a folder. 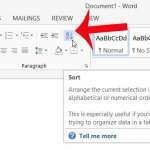 This will create an unzipped copy of the folder in the same location as the zipped file. Are you a Windows user that relies on right-clicking for a lot of your computer navigation? Find out how to right-click on a Mac if you would like to be able to use that functionality on your MacBook, too.